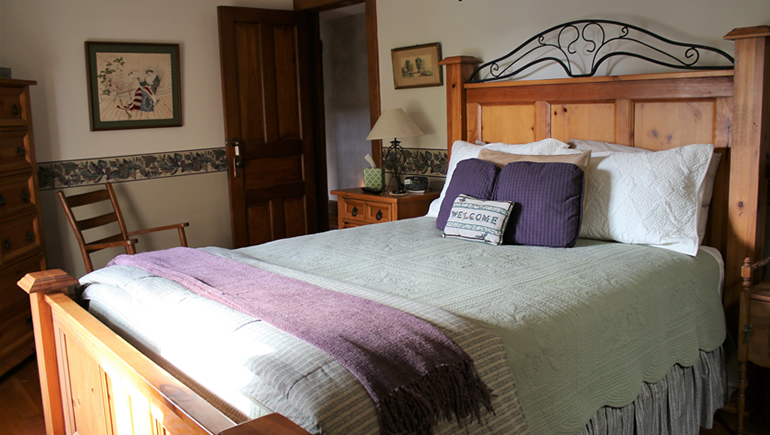 The Spinning Loft is a tastefully decorated room with knotty pine bedroom furniture. 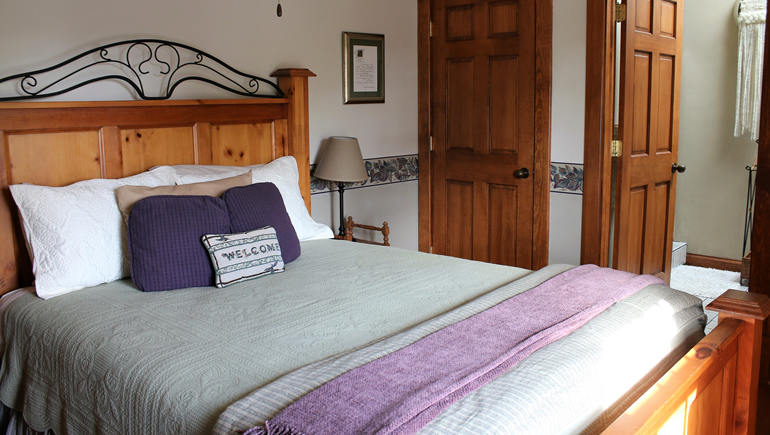 An incredibly comfortable queen bed outfitted with superior bedding will provide you with a great night’s sleep. 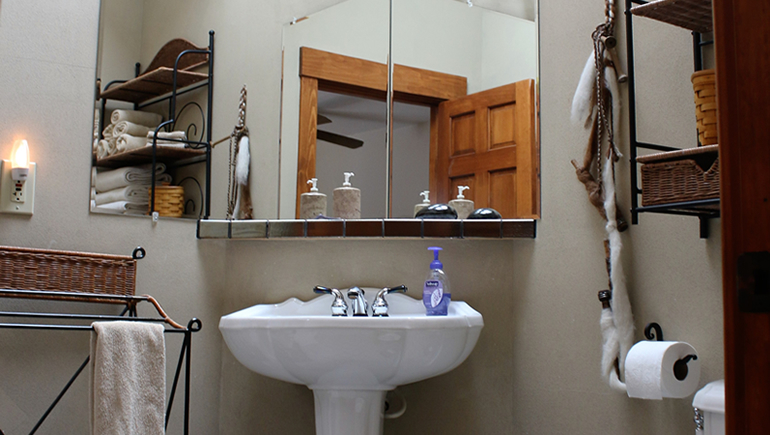 A spinning wheel and large fiber spools decorate the brightly lit private bathroom that boasts a tiled shower with a roomy seat! This second floor bedroom overlooks the pool deck and backyard gardens. In the distance you can see a lovely dairy farm grain silo, barns and fields. The Spinning Loft also has guest bathrobes, pool towels and a hairdryer.